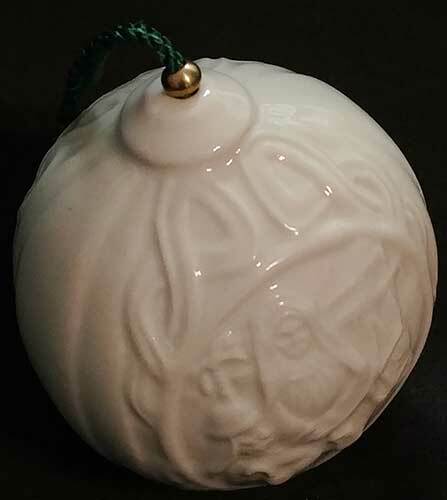 Belleek has woven fine strands of china to create this bell shaped ornament in their basket weave motif. 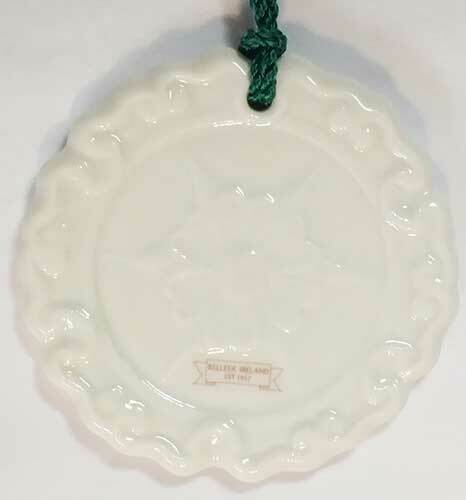 Belleek ornament ball features a Christmas blessing and shamrock along with Mary and Joseph and Celtic knot-work. 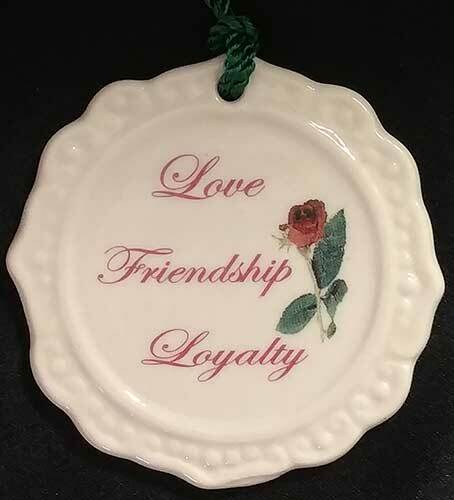 Belleek ornament celebrates our first Christmas together in 2011. Belleek St. Patrick’s cross ornament is a double sided Celtic cross that is enhanced with shamrocks and detailed embossed accenting. Belleek ornament celebrates our first Christmas together in 2009. Belleek Celtic cross ornament is fashioned in fine china with embossed knot-work and hand-painted shamrocks.